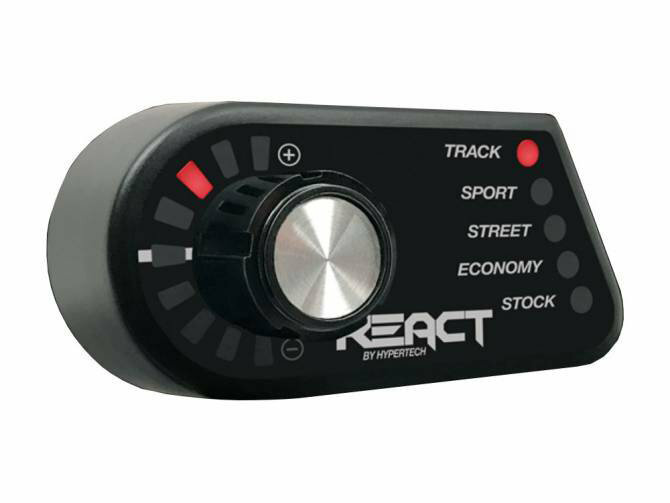 Hypertech's React Throttle Optimizer is the answer to the question of ' how do I get more options out of my Throttle Response without voiding the factory warranty'. Hypertech's innovative Throttle Optimizer offers full customizable control over your Jeep Wrangler JL's throttle response. With a simple turn of a knob you can switch between multiple modes and control the intensity of each mode on-the-fly. Adjustments are made by turning the dial to LED setting Indicators. These settings for the Tow Version of the REACT range from Heavy Tow, Mileage, to Wet/Ice. The React Throttle Optimizer is an easy plug-and-play install so you will be ready to enjoy exciting performance that you can take advantage of in no time flat. This unit is backed by Hypertech's Factory Direct Limited Lifetime Warranty and High-Performance engine tuning that is an industry leader.